Last December, I let you know that America’s electric cooperatives were filing suit against the Environmental Protection Agency (EPA), asking a federal court to prevent a rule called the Clean Power Plan from taking effect. 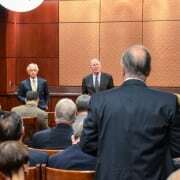 The National Rural Electric Cooperative Association (NRECA) and 39 generation and transmission co-ops asked the U.S. Court of Appeals for the D.C. Circuit to intervene and recognize the lack of legal authority behind the EPA’s regulation. 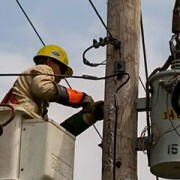 Tennessee’s electric cooperatives were part of this effort. The Court of Appeals denied our request for a stay. 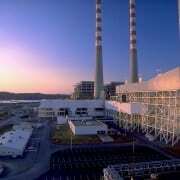 But on Feb. 9, the Supreme Court took the unusual step of blocking the EPA’s landmark carbon rule for power plants, throwing into doubt whether President Barack Obama’s signature climate-change initiative will survive a legal battle before the high court. 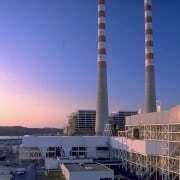 The Tennessee Electric Cooperative Association is very pleased with this decision halting implementation of the EPA’s Clean Power Plan. If this stay had not been granted, cooperatives across the nation would have been forced to take costly and irreversible steps to comply with the rule. From its inception, we have believed this rule is unneeded regulatory overreach. Our initial step was to provide real-life concerns about the impacts of the proposed rule. More than 1 million Americans joined our push, agreeing that the EPA’s actions jeopardize rural America’s supply of safe, affordable and reliable electricity. 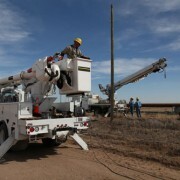 These regulatory hurdles make it increasingly difficult to deliver power to you. We are committed to a cleaner energy future. But the Clean Power Plan goes far beyond what the Clean Air Act authorizes the EPA to do and could seriously challenge our nation’s electric system. We continue to believe this is a huge overreach of EPA’s legal authority. Low rates and reliable power must be part of our clean-energy future. This decision opens the door to find real solutions that effectively balance environmental and economic concerns. Cooperative members hardest hit by new regulations will be those who can least afford to pay more to keep the lights on — those living on fixed incomes or in poverty. The decision does not address the merits of the lawsuit. The ruling from the highest court in the land puts the rule on hold until the case is argued in court. The stay is no guarantee that the rule will eventually be struck down, but the development is a bad omen for EPA’s chances. It does indicate that the court believes the states, utilities and coal companies have raised serious questions. 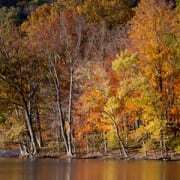 It also means that the deadlines imposed by the EPA will have to be revised. The D.C. Circuit Court of Appeals put the case on a fast track: Oral arguments are scheduled for this June, and that court’s decision could come in late summer or fall. Depending on the result, a Supreme Court appeal could come in early 2017. As developments proceed, we’ll keep you informed.